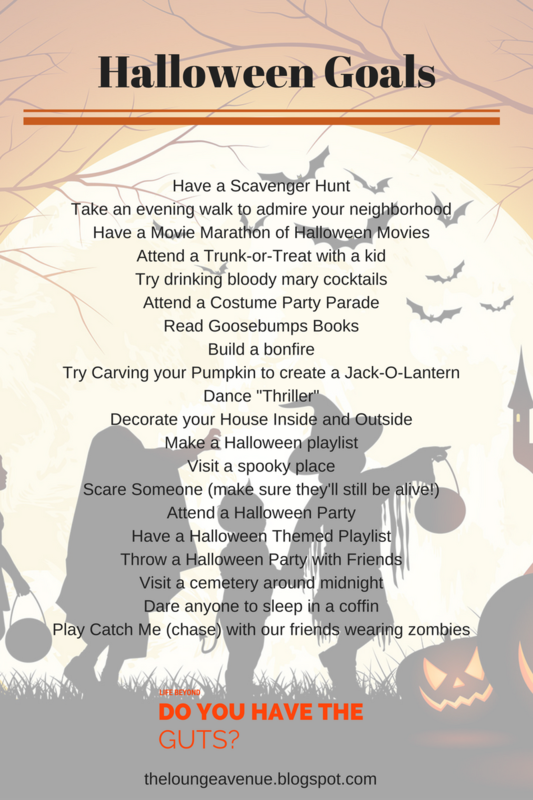 Have you ever thought on the things you wish to do on a Halloween? Something more fun and creative way to celebrate rather than be scared. As part of Filipino culture, the people would scare me, with stories about ghost and like not ours , So, I grew up scared when Halloween comes, it's the time I got a lot of eeries and high pressures and a never-ending cowardly thrills! Definitely I would pass out if I wouldn't walk-out! But as I grew up, I learned things to enjoy what Halloween and It's pretty amazing when you just have to get the fear of the unknown. 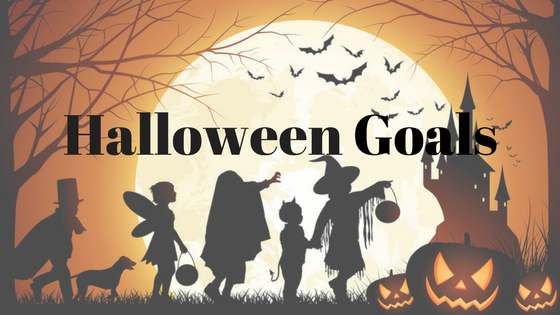 Here's some fun and exciting Halloween Goals! There's around 20 activities you can choose from and this can be done together with children, friends or your family. So Let's try having a fun time while Halloween is fast approaching. Let me know what you have crazy things you have done.